Formidable Dreams is a series of performance acts by the artists as trickster heroines, often out of time, overstimulated, disillusioned, between conscious and subconscious states. They question reality, authenticity, and the quest for the eternal elixir. Through tableaux, operatic sound, and interactions between audience, architecture, and curious objects, the characters create a sense of bewilderment and curiosity. These beings continually seek to rediscover themselves. The films are artifacts of our continual evolution. The skin we shed. This project is supported by Chicago Dancemakers Forum, an Individual Artist Grant from the City of Chicago Department of Cultural Affairs & Special Events, the Illinois Arts Council, a state agency through federal funds provided by the National Endowment for the Arts, and the Cheney Foundation. Special thanks for development opportunities by Light Box, Detroit. SARA ZALEK is an artist, choreographer, and curator rooted in Butoh and investigations of personal identity. She is obsessed with time travel, experimental science, hybrid animals, permaculture, and the intentional act of transformation. Sara is a 2015 Chicago Dancemakers Forum Lab Artist and 2017 fellow at the Ragdale Foundation. Through Butoh Chicago, Zalek continues to connect national and international Butoh artists with Chicago art makers across genres of dance, music, film and performance art. She seeks to foster positive communication and arts integration within Chicago’s complex, overlapping arts sectors by providing opportunities for workshops, conversations, and performances. 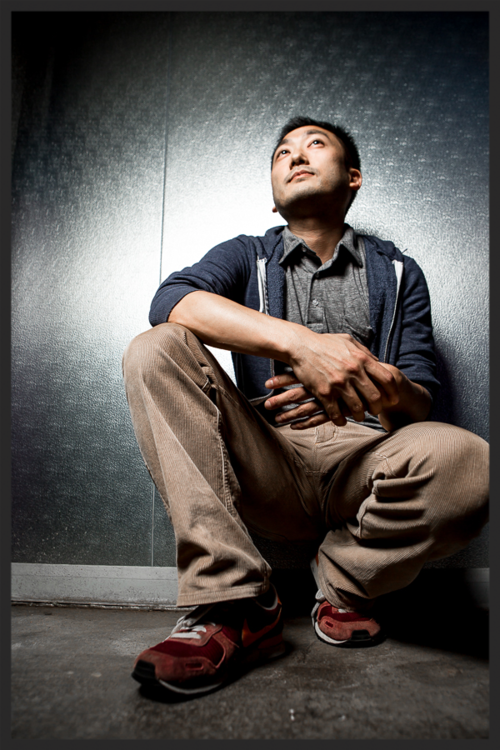 EUGENE SUN PARK is a writer, director, and producer working in narrative and experimental forms. His films have screened at festivals, micro-cinemas, and on broadcast television, including Chicago Underground Film Festival, Athens International Film + Video Festival, Athens Digital Arts Festival (Athens, Greece), DC Asian Pacific American Film Festival, Korea Expat Film Festival (Seoul, Korea), Anthology Film Archives, Portland Art Museum, and on Time Warner Cable. Eugene’s feature-length script, Michael’s Story, was the winner of the Screenplay Competition at the 37th Asian American International Film Festival. He is a 2014 recipient of an Artist Project Grant from the Illinois Arts Council. Eugene's latest producing project, a short narrative film about Japanese American WWII confinement, is supported by a JACS Grant from the US Department of the Interior, National Park Service.